On Wednesday, 28 November 2018, an interview with Ivanka Trump aired on Good Morning America. What follows is a partial nonverbal analysis of a crucial portion of that interview. DEBORAH ROBERTS (continuing at 2:30): How concerned are you about the Mueller investigation? 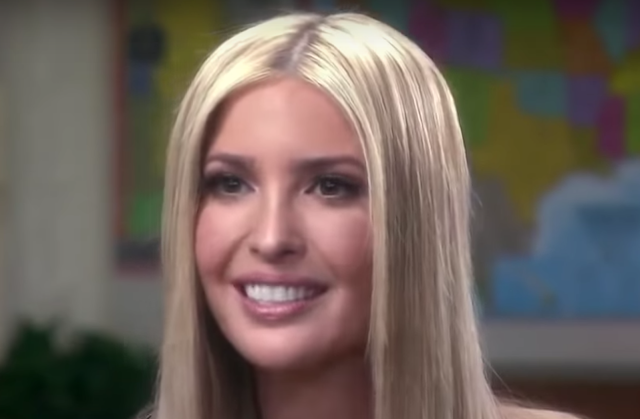 IVANKA TRUMP: I - I know the facts as they relate to me - 'nd - and my family - annnd [sic] I have nothing to be concerned about. DEBORAH ROBERTS: Do you think it should continue? IVANKA TRUMP: I think it should reach its conclusion. I think it's been a long time - that this has been ongoing - but, I want it to be done in a way in which nobody could question - thaaat [sic] it was hurried or rushed - and I think after this lonnng [sic] period of time, we're well beyond that point. So I think that it absolutely should reach its conclusion. DEBORAH ROBERTS (continuing at 3:23): But many people say that your father is doing nothing to heal - if, if anything he's creating more of a climate for hatred and for fear mongering. What do you say to that? IVANKA TRUMP: I reject that. I think that he is - creating policy that's going to lift all Americans - annnd [sic] - that's - what his number one role is. But we need to have this dialog - annnd [sic] sometimes the expressions of anger and resistance arrre [sic] the moment before you really start to engage in earnest, and, and we are looking to do that. DEBORAH ROBERTS (continuing at 4:00): But his tone doesn't reflect that and there 're people who are wondering as a White House advisor, do you advise him on his tone? During 2:33, just after Deborah Roberts asks, "How concerned are you about the Mueller investigation? ", Ivanka Trump looks straight down and forward. Her mouth is slightly tightened as the area just above her upper lip and below her nose tightens. This is an expression of fear-sadness. During 2:35, just after Ms. Robert's asks again, "You're not? 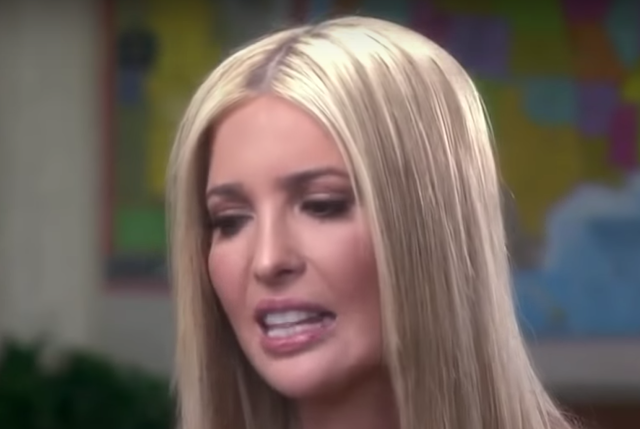 ", Ivanka Trump displays a classic Microexpression of Regret - as Ms. Trump's left mouth corner makes a very quick movement laterally. You may describe this as a "twitch". Watch this at regular speed, then at 1/2 speed, then at 1/4 - and again at full speed. Repeat this several times and then review this segment in this same manner multiple times a week. This practice will help you to become more adept at discerning microexpressions. (Bear in mind, that regret is one of many emotions which may be projected via a microexpression). 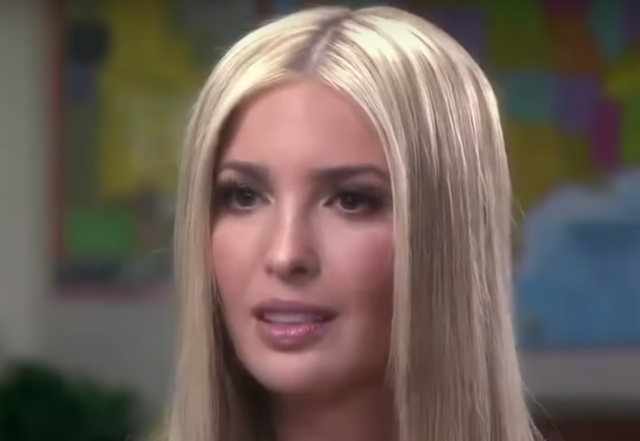 Just after she says, "I - I know the facts as they relate to me - ", Ivanka looks down to HER right (2:38). This is the quadrant to which people will often look when they're feeling emotions of guilt, shame, and/or sadness - all feelings which commonly occur during deception. Ms. Trump's eyelids are opened wider in this instant - a manifestation of fear. Three seconds earlier (during 2:35), Ivanka closed her eyes for a prolonged duration. Both this extended blink and her previous directional gaze - down and to her right - are each forms of diminished eye contact which are seen during deception. Notice also, Ivanka says, "I - I know the facts as they relate to me - 'nd - and my family - annnd [sic] I have nothing to be concerned about." She stutters, stretches out her words, and, crucially she separates herself, "I know the facts as they relate to me" - and then includes her family. She also says, "I have nothing to be concerned about" - rather than "We have nothing to be concerned about". In statement analysis terms, these are examples of distancing behavior. She is verbally creating a protective space - between herself and the others - Donald Trump, Donald Trump Jr., Eric Trump - and her husband, Jared Kushner. This paralanguage behavior is a profound red flag. During 2:59, just after she says, "... and I think after this lonnng [sic] period of time...", her knee raises after she raises up on her toes. While her hand movement here was voluntary and well-practiced (Ivanka has better nonverbal skills than her father, brothers, or husband), her leg movement was involuntary and betrayed her heightened level of anxiety. 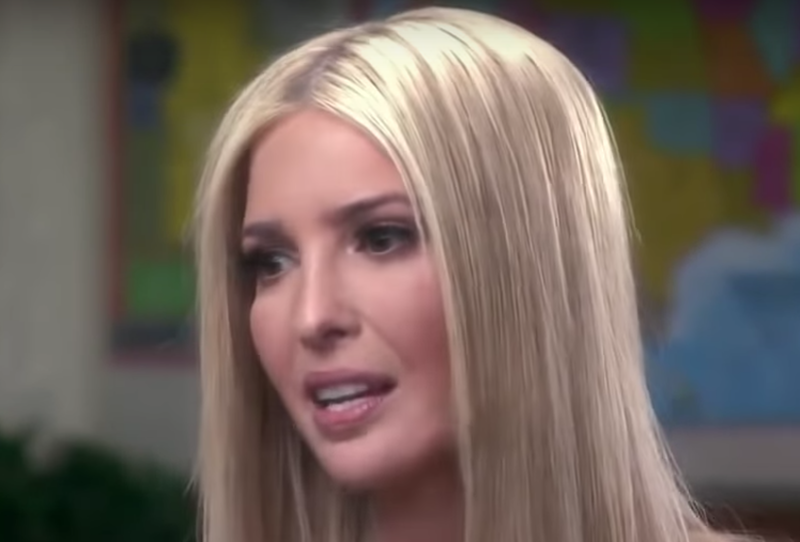 Then, during 3:01 - 3:04, as she says, "So I think that it absolutely should reach its conclusion", Ivanka Trump then places each hand on the front portion of the seat of her chair with elbows locked and straightened. This hand-arm configuration is a significant anxiety tell. 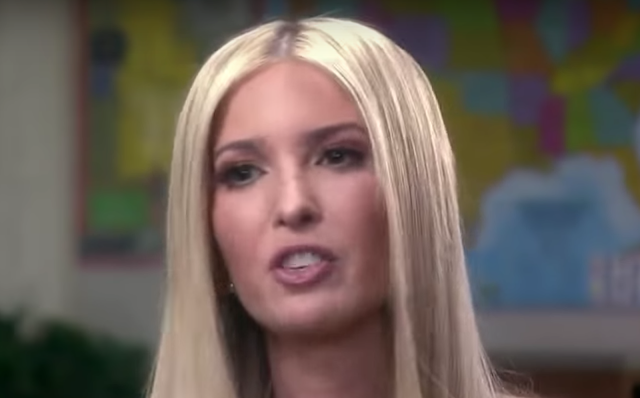 During 3:34 - 3:35, as she says, "I reject that", Ivanka Trump displays what is known as a Self-Righteous Head Wiggle. A Self-Righteous Head Wiggle is characterized by relatively rapid, side-to-side movements of the head and neck - and is often accompanied by a similar movement of the torso (and sometimes by shoulder shrugs, which are seen here). Sometimes the Self-Righteous Head Wiggle (SRHW) will be very short-lived (a near-microexpression) - however in this example, although still relatively brief, it's of a longer duration (about a second). The SRHW is commonly displayed by individuals who are in the midst of hyper-alpha moments of particularly high confidence while expressing especially strong opinions - ergo its synonyms of High Confidence Head Wiggle or the Hubris Head Shake. The SRHW is virtually always subconsciously generated and very rarely feigned. It's somewhat helpful to think of it as a form of nonverbal swagger. It's also crucial to emphasize that the dynamics of a SRHW are not captured in a still image and must be viewed in motion (please view the video several times). In this example, the SRHW also has an additional overlying backward motion component. This extra movement is displayed when contempt, disgust, and/or incredulity are also present (in this example all three are seen) - or a superimposed forward motion (when condescending emotions coexist). Fascinatingly, the vocal pitch grows higher during the Self-Righteous Head Wiggle - providing an outstanding example of the congruity between paralanguage and body language. Please re-watch this and listen to Ivanka Trump's voice momentarily increase a half an octave. Two seconds later, during 3:35 - 3:36 as she says, "I think that he is ..." (and just prior to her saying, "creating policy that's going to lift all Americans"), Ivanka looks down and to her right again (guilt and shame) while she simultaneously displaying a Jaw Jut (signifying a surge of adrenaline). This is a profound moment of emotional dissonance as she's rationalizing her father's behavior. Just after she says, "... annnd [sic] that's - what his number one role is. ", Ivanka Trump displays a feigned smile. If it were sincere, we would see classic temporary, concave-up furrows in each of her lower eyelids and we would not see even a hint of her lower teeth. In such moments of insincerity - the corners of the mouth pull out laterally (to the sides as is seen here) versus much more upward vectoring (as is seen with sincere aka a Duchenne Smile). Furthermore, in a general sense, smiling (albeit insincere) in this moment is significantly out of context. Attempting a smile when the social situation seems incongruous with joy-happiness is always a red flag. Just after Deborah Roberts asks, "... a White House advisor, do you advise him on his tone? 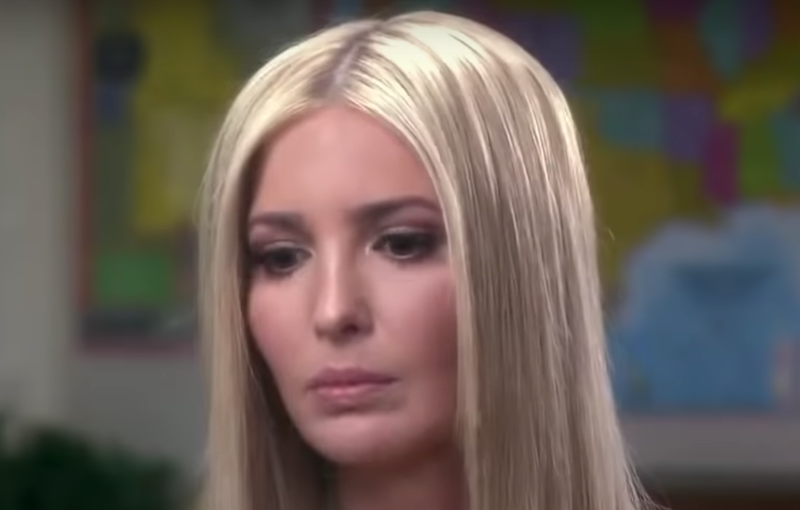 ", Ivanka Trump inhales deeply and displays another Self Righteous Head Wiggle (4:08) - this one much more extreme than the example cited above - then saying, "He's - my father and he's my boss ..."
SUMMARY: Ivanka Trump is indeed worried about Robert Muller's investigation. She has significant anxiety about her family's association with Russia - and she's attempting to distance herself from President Trump, her brothers, and her husband. Ivanka Trump also displays a high level of hubris and self-righteousness - emotions which fundamentally overlap with, and are byproducts of, self-deception. Body Language Analysis No. 4356: Donald Trump: "When I can, I tell the truth"